A 3D model rendering is the best way to visualise your design idea so anyone can understand your thinking. 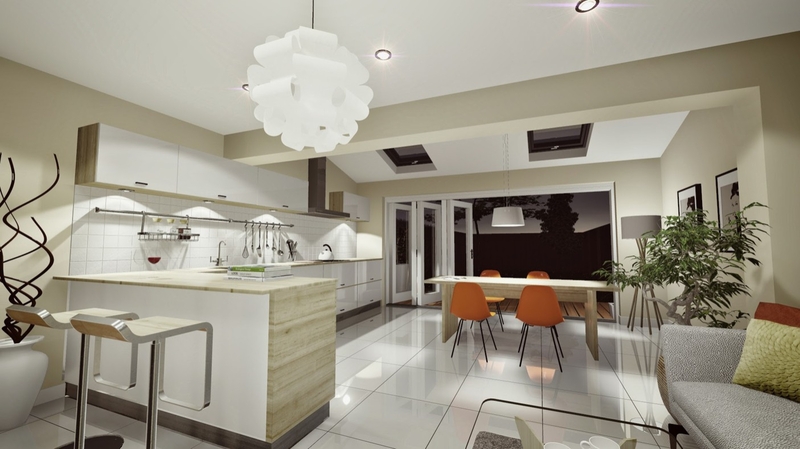 We offer 3D model rendering services suitable for any budget, whether you want to visualise your kitchen extension or help market new build houses to potential buyers. How much does a 3D model rendering cost? Our 3D model rendering vary in price depending on the detail required. Our prices start from £99 for home owners who would like a quick and simple model to illustrate an extension to their property. More complex visualisations, whether its to accompany a difficult planning application or to market potential buyers, please contact us for a quotation. Is there a planning application requirement for a 3D model rendering? No, there is no requirement for planning to submit a 3D model rendering such as a kitchen or bedroom extension. The council will only request a 3D model rendering if the drawings can not be interpreted or the overall proposal is very complex, therefore it may be beneficial to submit a 3D model rendering to accompany the planning application. 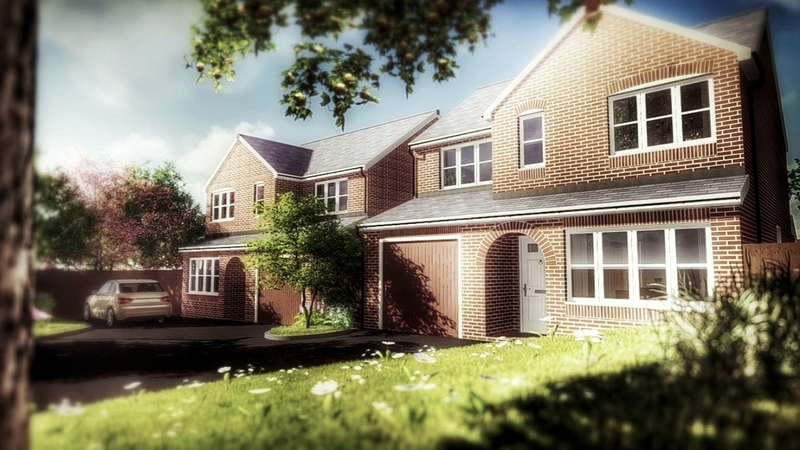 3D model rendering to market two new houses on an unused plot of land. 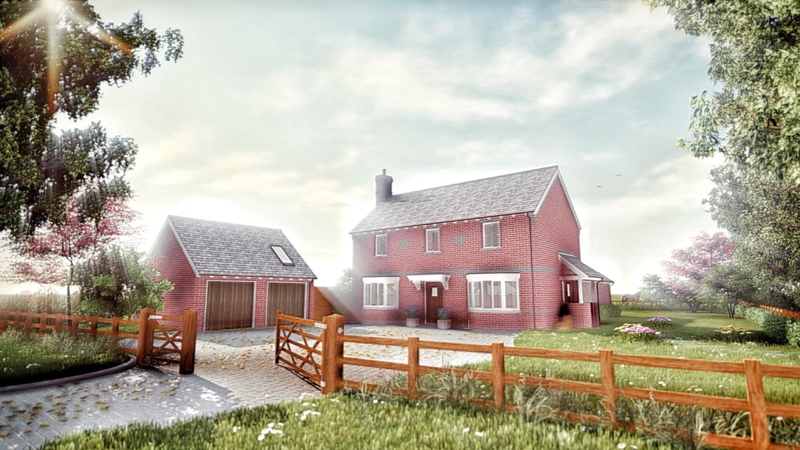 3D model rendering of a brand new house and garagein an Area of Outstanding Natural Beauty. 3D model rendering of an single storey rear extension to accomodate a large open plan kitchen and dining areas with bi-fold doors providing access out to the garden. 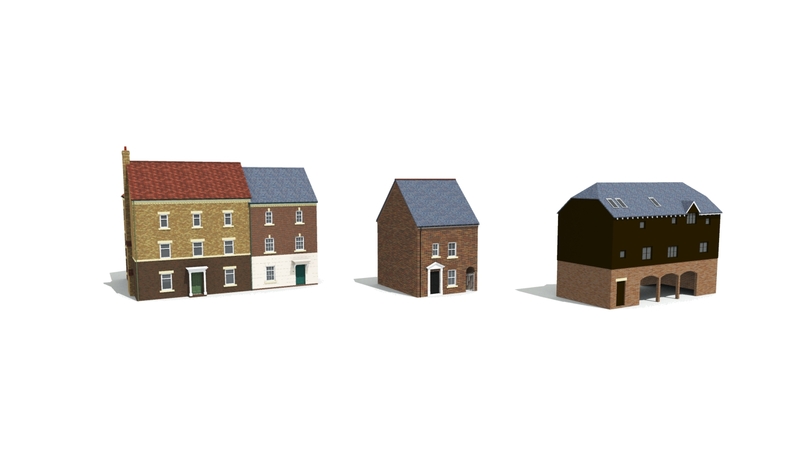 3D model rendering of standard housetypes to be used as part of large house development for marketing purposes. 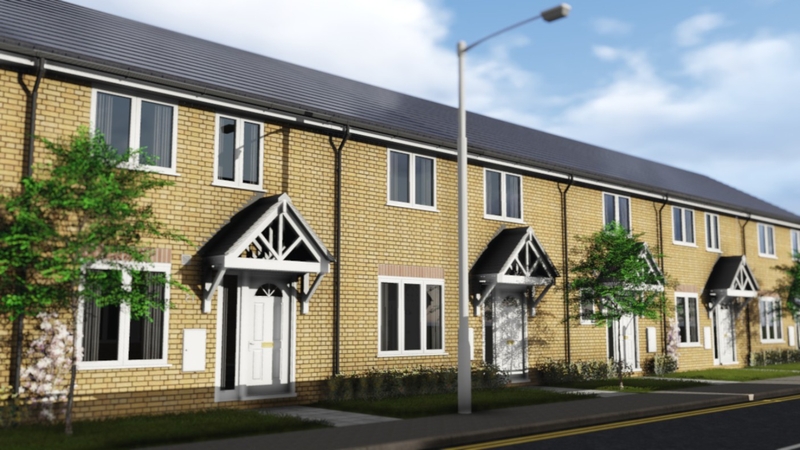 3D model rendering to market new terrace houses as part of a large house development.